M.C. 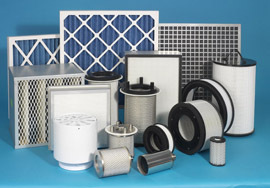 Air Filtration Ltd is one of Britain’s leading designers and manufacturers of High Efficiency Particulate Air filters (HEPA filters), gaseous filters and associated filtration systems including high integrity isolation dampers. Since our foundation in 1974 we have developed an extensive portfolio of products and services for a wide range of industries. The experience of MCAF’s designers allows them to work with customers to understand specific requirements and rapidly devise innovative solutions to all air filtration problems. The company’s operations are centred on its 3,000 sq m premises in Gillingham, Kent. Here design, development and manufacture come together to provide a total service dedicated to meeting and exceeding customer requirements.